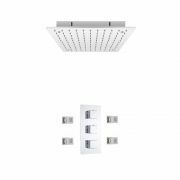 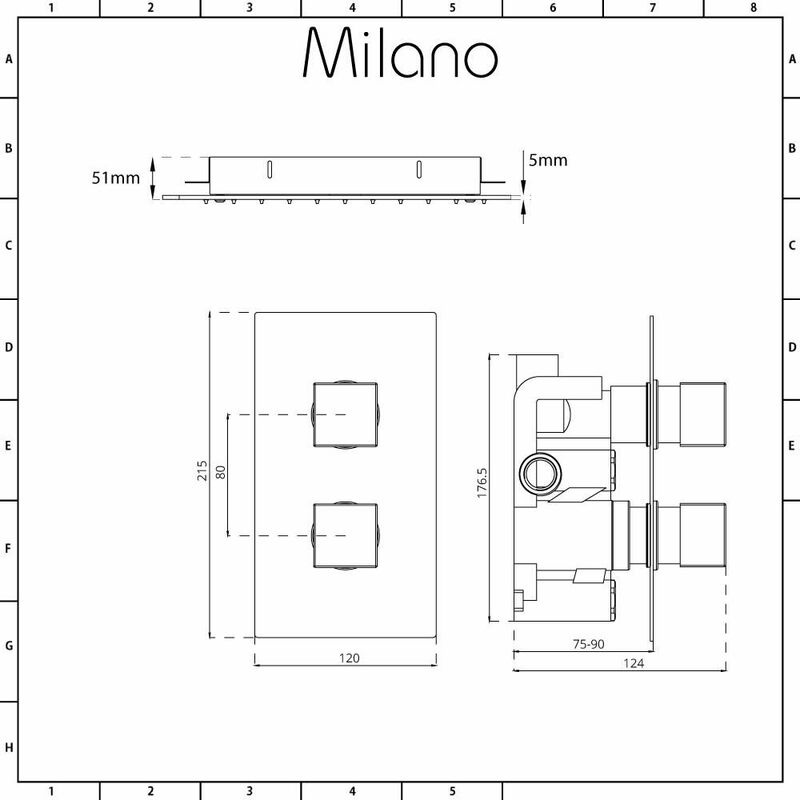 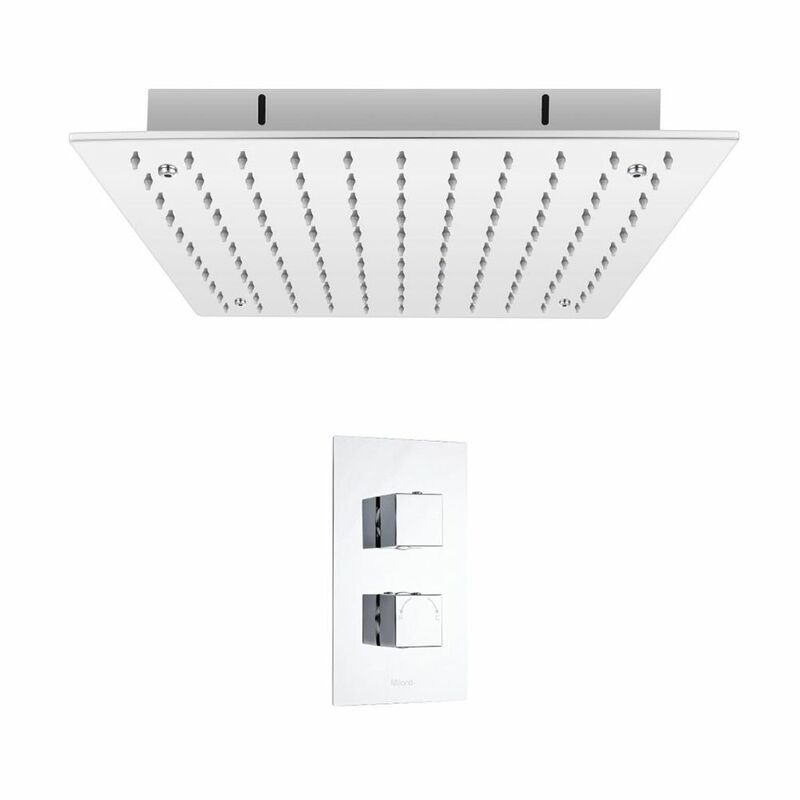 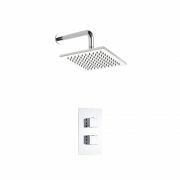 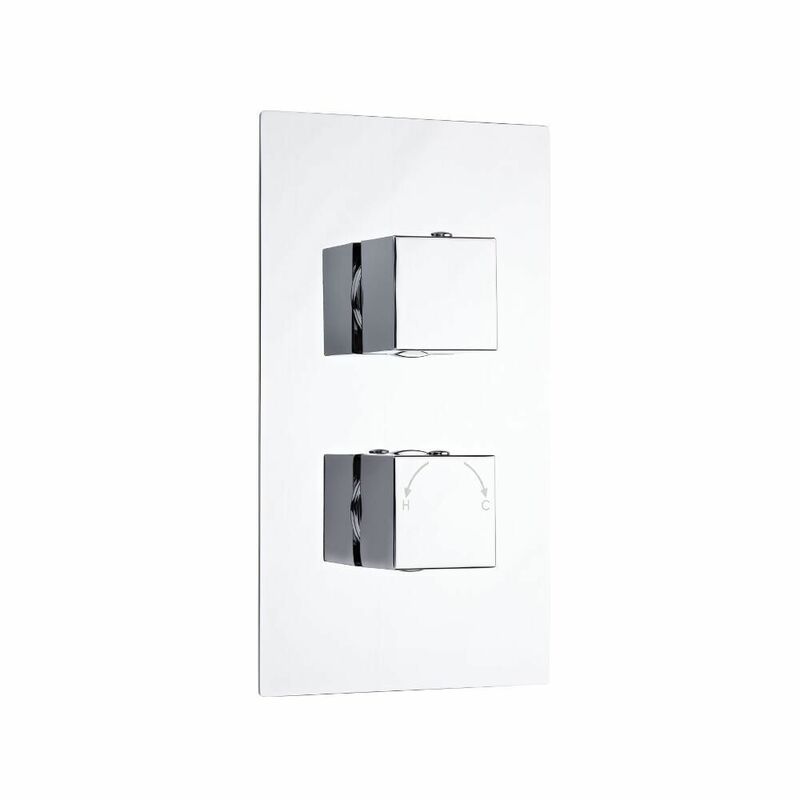 Add sleek, contemporary style to your bathroom with the Milano 400mm square ceiling tile shower head and Arvo thermostatic shower valve. 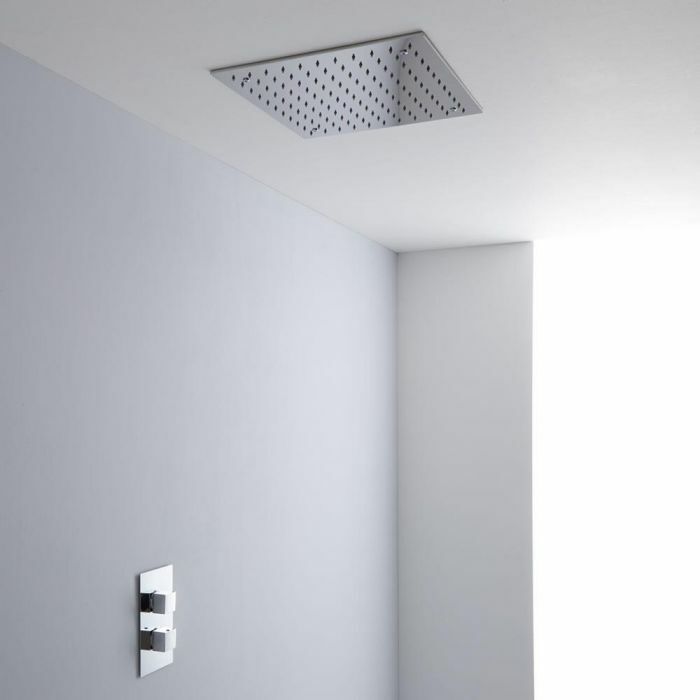 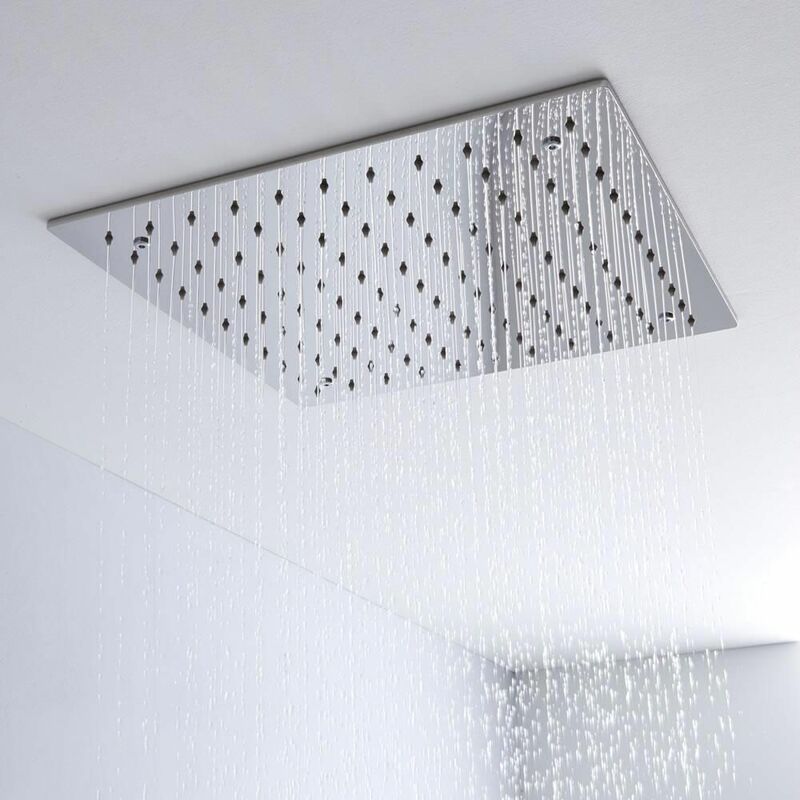 Made from stainless steel, the ceiling tile shower head delivers a refreshing rainfall effect to awaken your senses. 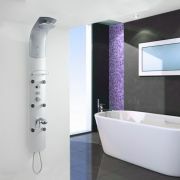 It features silicone nozzles for easier cleaning and a recessed design for a neat, streamlined look. 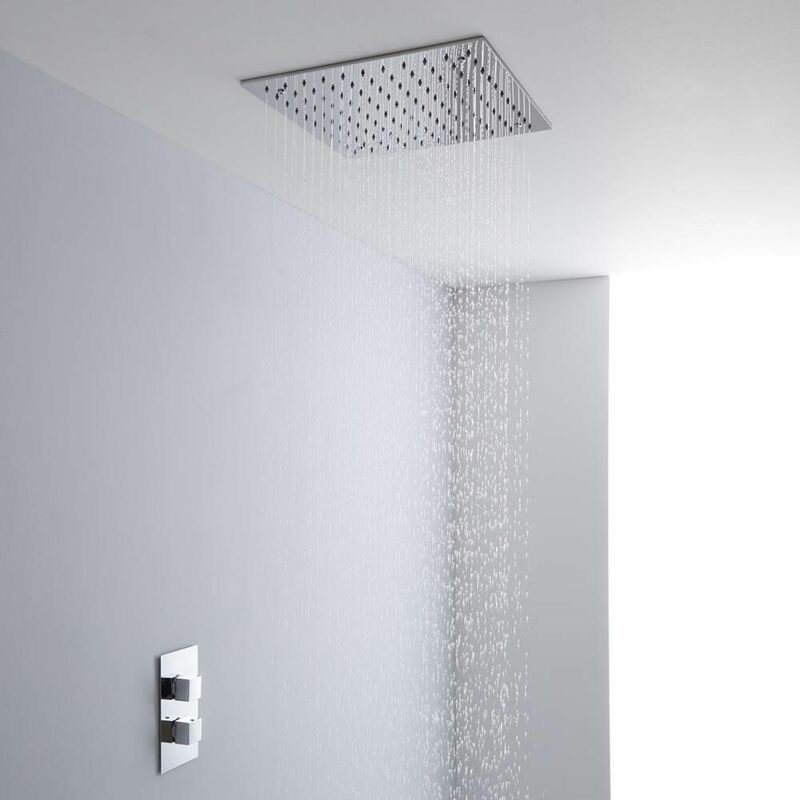 The TMV2 approved thermostatic shower valve incorporates an automatic anti-scald device to ensure a safer showering experience, as well as ceramic disc technology to prevent leaks and drips. 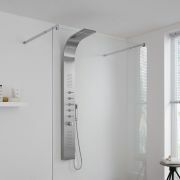 Featuring a brilliant chrome finish, it has a solid brass construction so you can be assured of quality and durability.